MANILAL NAG and SANKHA CHATTERJEE are doubtless two among the best artists in India today, and this recording will confirm it once again. Continuing a tradition that is fixed and very much in movement at the same time, able to absorb new and external elements without losing its identity, NAG and CHATTERJEE perform two very important and beautiful ragas. The listening of Raga Darbari (one of the most important among the entire raga series, a very old one, usually associated to the late night hours) evidences the perfect mix of complex rhythmic structures and fascinating melodies, base for fluent improvisation. 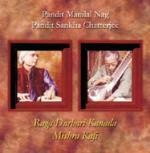 In this long presentation of Raga Darbari the typical development of the raga is fully displayed: the introduction, Alaap, in a free rhythm exposed y the melodic instrument, the sitar in this case, that slowly increase in tempo to reach a very intense climax and then the exposition of the composition supported by the tabla and a definite rhythmic cycle based on long improvisation and strict interplay between the two instruments. The second track is Mishra Kafi, a freer version of Raga Kafi, a very melodious and sweet composition. The atmosphere here is very different one from one of Raga Darbari and the sitar sound of MANILAL NAG is fully in display with all his intensity and poetry, and explosion of colors and shades very moving. 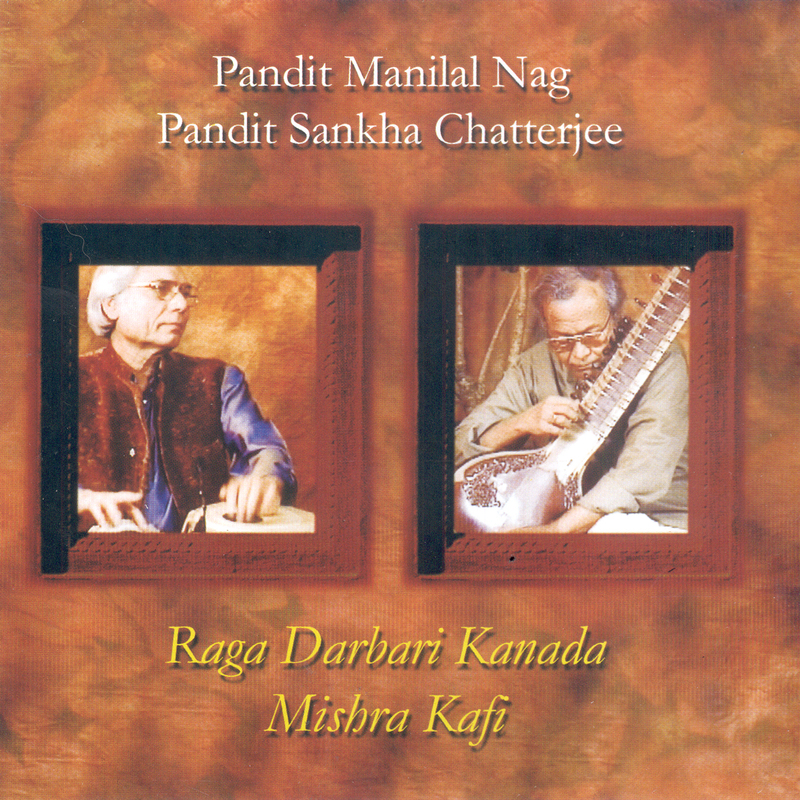 We think this recording of Raga Darbari and Mishra Kafi can be a good start to the newcomers to the great tradition of Hindustani music as well as a great confirmation for two very rarely recorded Maestros. MANILAL NAG heir of a family of musicians with a tradition that goes back to over three hundred years ago, with style developed along the line of the Vishnupur gharana (school), in the district of Bankura (West Bengal), one of the most important center for the preservation and spread of the Hindustani culture. NAG began his musical studies in very early age under the tutelage of his father Shri Gokul Nag and his music researched had continued till nowadays. After more of 50 years of carrier NAG can list collaboration with all the most important musicians of his country, starting with the legendary Ravi Shankar, and countless concerts all over the world. His style, after long and very hard studies, is graceful and methodical, remembering the majestic and the simplicity of Dhrupad singing. SANKHA CHATTERJEE is one of the best tabla player today. He has started in the very early age to study various instruments and also singing. Later on he has moved to tabla, today his main instrument, studying with the main teachers and performers: he has studied with Late Ustad Maseer Khan, Ustad Keramatullah Khan and Late Ustad Alla Rakha Khan - Maestro of the leading gharanas: Farukhabad, Delhi and Punjab. His innovative and unique style is not only the sum of these three schools tradition but also the results of a very personal and original approach to the instrument. CHATTERJEE has performed and played with very important artists of Hindustani classical music, among others Ustad Vilayat Khan who introduced Sankha to the Western audience where he has also displayed his gift as teacher in innumerable workshops. Countless are also his collaboration with Western musicians (Albert Mangelsdorff and Chico Freeman among others).